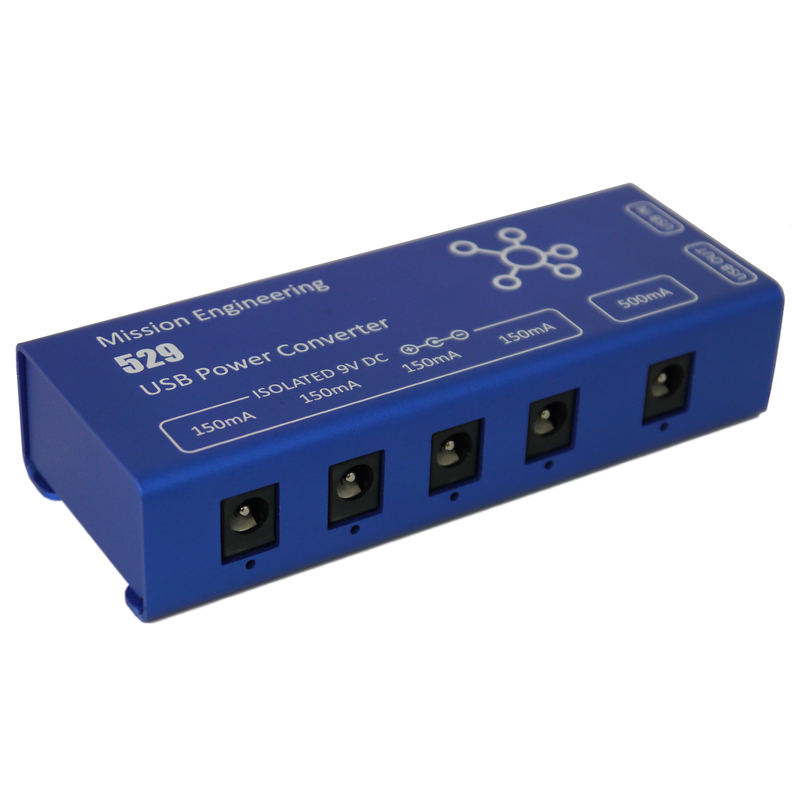 Mission Engineering Inc., manufacturer of innovative electronics for musicians, today announced the availability of the worlds first USB power converter for effects pedals. The Mission 529 provides 5 isolated 9V outputs for effects pedals from any 5V USB power supply such as a battery, wall charger, or computer USB port. "The 529 lets you power your effects pedals from the same power supplies you use with your phones, tablets, and computers," said Mission CEO James Lebihan. "Rechargeable battery technology is one of the worlds fastest growing industries, with hundreds of new products being launched every year. The 529 let's musicians take advantage of this to power their pedal boards"
The Mission 529 is shipping now and will be available from Mission Authorized Dealers within the next week.